Pkg “D” 6 Hr. Power Tan Island Pkg. 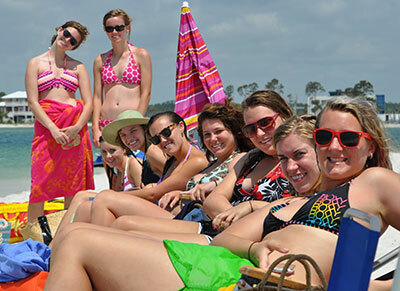 Dolphin Safari w/ Family Tubing ,Jet Skis,Lunch & more 10 Activities to enjoy ! Bundle priced for up to 4 – 5 – 6 – 7 or 8 guests –Additional guests additional costs. Consider additional equipment or 2 Pkgs for groups over 9 ! You get 2 Yamaha Vx Delux Waverunners for free for the morning half of the trip ! After lunch we head to Bird Island to Power tan or Play! Call 251 609 3444 for Pricing Details and Booking Options !